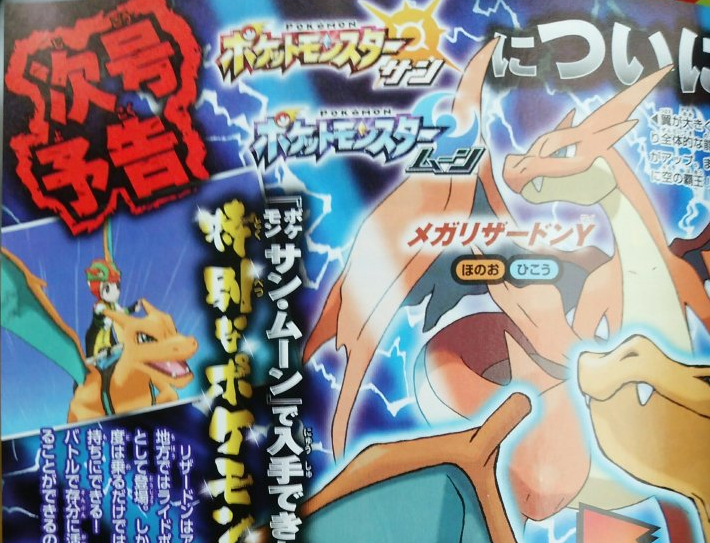 A scan of the latest CoroCoro magazine shows that they will be distributing a Charizard to Pokemon Sun and Moon next month. It will be done through a serial code on March 15, but there is no information on if this will be region-based or if anything will be unique about the Charizard. Charizard was picked due to winning a recent poll through the magazine.